Meet your Spirit Guide: Take a stimulating journey that touches all of your senses to meet and communicate with one of your loving spirit guides who has been with you all along your life journey, helping you along the way, even though you might have never been aware of them. Take this opportunity to get to know them and communicate with them in any way you wish. Relationship Healing/Strengthening: Use the loving energy of the universe to help you manage a conflict with another human in the physical plane by using the non-physical plane, your intention, and visualization to make it happen. Reprogram a Counterproductive Thought Pattern: This meditation utilizes cognitive psychology methods to help you realize that the only thing holding you back from your dreams is yourself. It will take you on a journey to see negative thought patterns for what they are and generate more positive affirmations to replace them. Always remember, thoughts are things, and when you create a negative thought it has power to make change, just as when you create a positive thought, it has power to make change. This exercise will help you work though negative and counterproductive thought patterns and not only dissolve them, but turn them into positive affirmations. 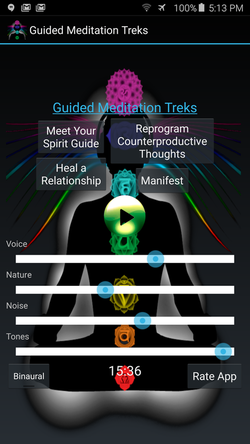 Manifestation: Utilizing methods of creative visualization outlined by motivational speakers and 5th dimensional travelers, this meditation is geared towards helping you manifest some goal that is in line with your higher self. The meditation will help you achieve your intention by seeing and feeling what it will be like in the end state, then allow you to allow whatever needs to come through to complete the vision. Come prepared with what you wish to manifest for your highest self and greatest good. 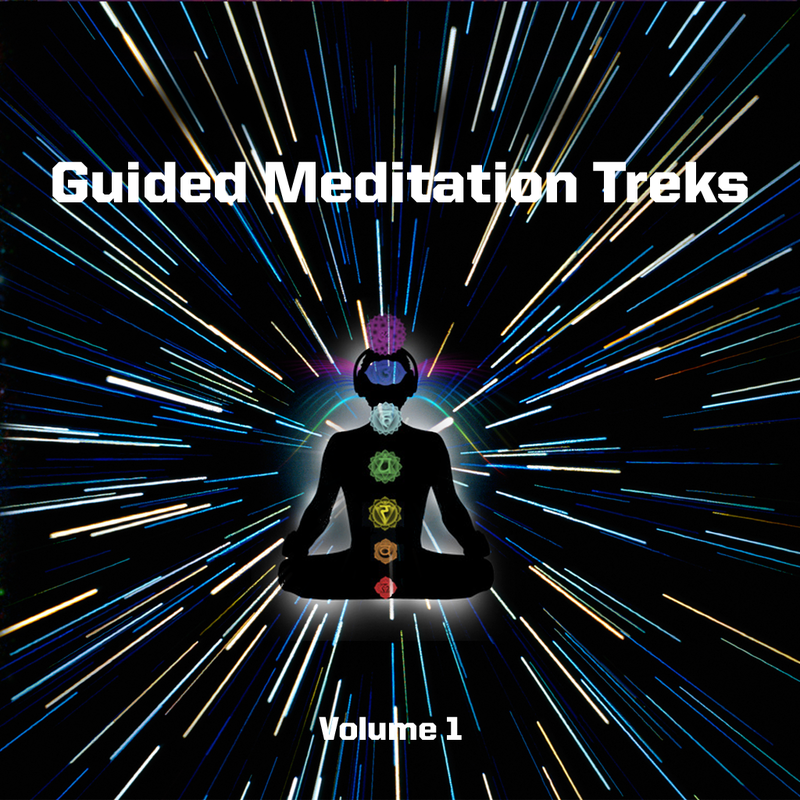 The iOS application and the Android Application are the same as the CD, except the app allows you to select between using binaural beats or isochronic pulses, as well as control the volume of the four elements of the meditation.